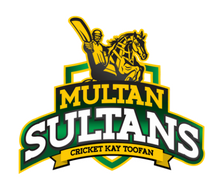 Toss won by: Multan Sultans, selected to field first. Batting: Mohammad Hafeez 59 off 52 balls, Darren Sammy 29 of 11 balls. Bowling: Mohammad Irfan 2/19 in 4 overs, SohailTanvir 1/36 in 4 overs. Target: 152 runs from 20 overs. Batting: Kumar Sangakkara 57 runs off 51 balls, Shoaib Malik 42 runs off 30 balls. Bowling:WahabRiaz 2/19 in 4 overs, Mohammad Asghar 1/18 in 4 overs. The calmness of Kumar Sangakkara and the T20 experience of Shoaib Malik helped Multan Sultans win the opening game of the new season. 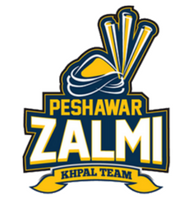 Defending champions Peshawar Zalmi didn’t bowl badly, but they simply didn’t have enough runs on a greener, faster strip than is not commonly associated with the UAE. Though the Sultans batsmen deserve credit for their play, it was actually their bowlers who set up the platform for success. Every one of Tanvir, Irfan, Junaid Khan and HardusViljoen were in complete control. Barring one big Tanvir over at the death, the batsmen struggled to spot a weak link in this quartet, reduced instead to slogging away at Imran Tahir, never an ideal prospect. The Zalmi have to go back to the drawing boards after this defeat. Their batsmen need to up their game and give their bowlers something to work with in the games to come. That said, star bowlers like Chris Jordan and WahabRiaz must perform better in the death overs. With Sultans needing 38 off four overs, today’s game was in the balance.. But Jordan’s over went 12, thanks to some sloppy fielding and a fortuitous outside edge off Pollard’s bat. Wahab too ended up conceding 11 in his subsequent over, thanks again to some poor fielding at the boundary. By the time it came to final over, HammadAzam had just six runs to defend. Sultans have begun their season with a positive victory but will need to show the same intensity less than 24 hours later as they come back to play the second game against Lahore Qalandars on Friday evening. Zalmi have a day to recover.